From Cawfields Quarry car park walk east past the quarry lake towards Milecastle 42. With Hadrian’s Wall on your left, follow the National Trail as far as the road at Caw Gap. Turn immediately to your right, in a few yards cross over the stile signed Cawfields Quarry 1 mile. 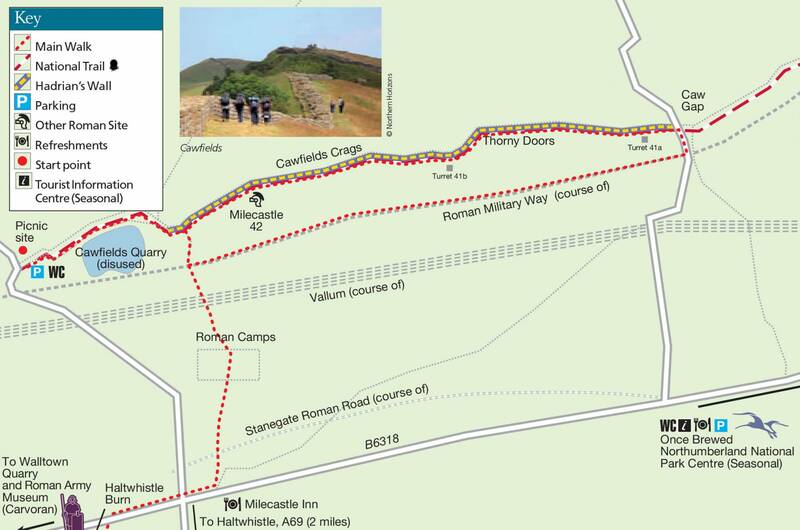 Follow the low-level route next to the Vallum and Roman Military Way back to Cawfields Quarry.